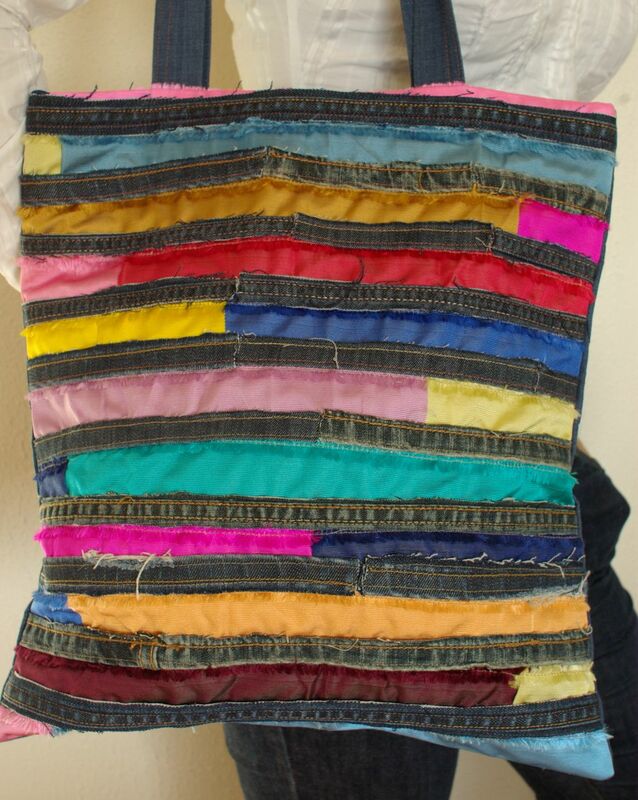 Finally after big break of the Christmas and New Year holidays I can type the story of the brand-new upcycling idea - Rainbow bag. 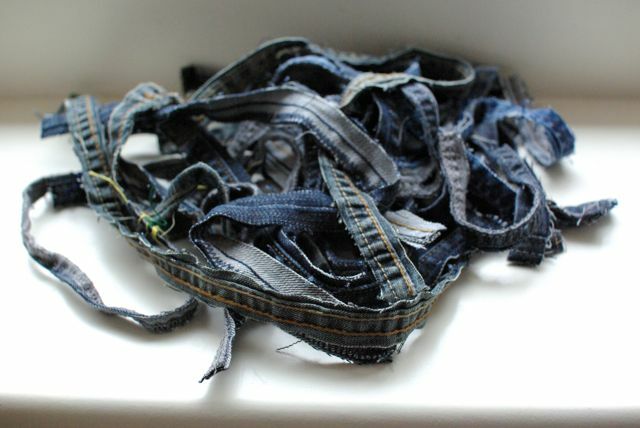 I feel that denim becomes my favorite material for the reuse projects. Being busy for 4 months with the collection, cut and reuse of it I cumulated a small bag of the jeans cuts. Initially I had the idea of the christmas decoration. But I was so buy before Christmas that finally I have abandoned this idea. Ok, in my small atelier 2 bags decided to place themselves nearby and highlight me a new bright idea. 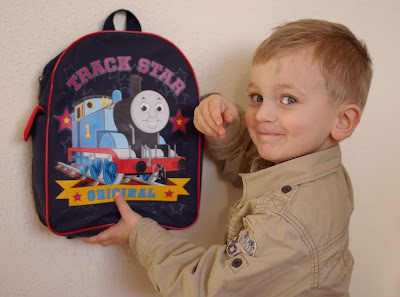 I do not have a photo of the second bag content. There are a cuts of the silk fabric. I bought it in the month of december a long narrow piece of silk on the handwork fair in Rotterdam. The colors are my passion! I came across a belgian store. They sold beautifull threads for knitting. In their factory they produce luxury silk fabrics as well. When they start a new pattern the colors have to be tested. Thus come out long pieces containing the stripes of every color used for particular pattern. It is really beautiful! I could not leave this shop with empty hands. On the top part of every stripe there is a hand writing which delimite a narrow piece. It could not be used in any big project. But being a collector of amazing useless pieces I have left them for the ''better days''. This is my new delightful creation - Rainbow bag. Inside I have used a pocket from one of my jeans. After photographing your beautiful dress last Saturday (you can see two pictures on my Flickr, www.flickr.com/photos/rivkadejonge) I checked out your site and your etsy shop. I'm a fan, I really love your stuff!! I hope you make lots more beautiful things in the future, and maybe sometime I can help you to take more pictures of your designs! It has been a pleasure and inspiration to meet you!